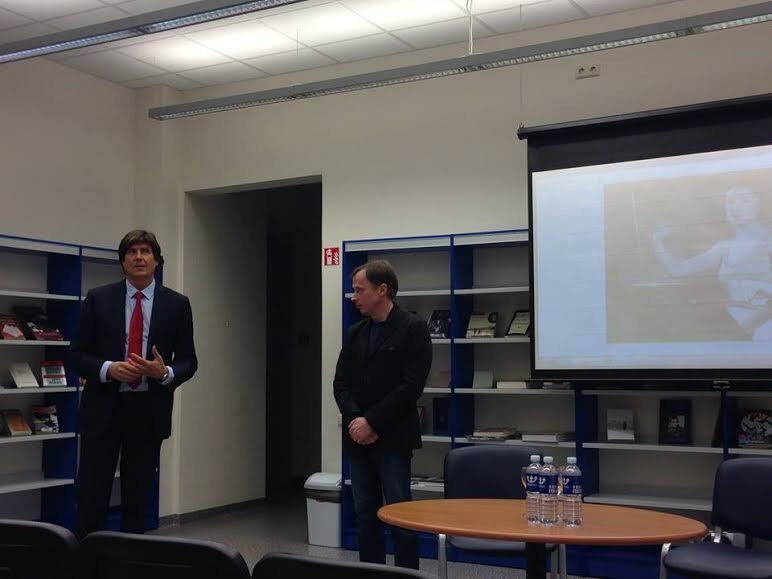 CYLAND’s Sergei Teterin gave a lecture presentation on Clara Rockmore, Léon Theremin and his famous electronic musical instrument in Vilnius, Lithuania on May 6. Clara Rockmore was a virtuoso performer of the theremin, born as Clara Reisenberg in Vilnius, Vilna Governorate (now Lithuania). Rockmore was a child prodigy on the violin and entered the Imperial conservatory of Saint Petersburg at the age of five. Unfortunately, bone problems due to childhood malnutrition forced her to abandon violin performance past her teen years. That however led her to discover the newborn electronic instrument and become perhaps the most renowned player of the theremin. Rockmore had several gifts that enabled her to play the theremin so well. Her classical training gave her an advantage over the many theremin performers who lacked this background. She possessed absolute pitch, helpful in playing an instrument that generates tones of any pitch throughout its range, not just those defined by equal temperament. She had extremely precise, rapid control of her movements, important in playing an instrument that depends on the performer’s motion and proximity rather than touch. She also had the advantage of working directly with Léon Theremin from the early days of the instrument’s commercial development in the United States. During the presentation a documentary film was screened, from which the audience have learned about the wonderful theremin, an early electronic musical instrument controlled without physical contact by the performer. Theremin remain popular nowadays and we see new incarnations of it being developed and adorned by musicians.